Oh hello, it's me. Checking in from my unofficial extended break from blogging, ha. I wanted to share with you some photos and details from a recent media trip myself, Laura and Jenn, went on. A few weekends ago the three of us took a quick weekend girls getaway to Annapolis, Maryland. Surprisingly, Annapolis is a very short metro + Uber ride. Only about 45 minutes from DC. Also surprising, I had yet to visit the coastal town. Sad, right?! Well it was about time for sure! We left after work on Friday, and metro'd out to the closest stop to Annapolis. We then hopped in an Uber, which took us straight downtown to our hotel. We stayed at the Annapolis Waterfront Hotel. Which is just as wonderful as it sounds. Right on the water, overlooking a harbor of sailboats and downtown Annapolis. The three of us decided to stay in Friday night and just catch up over a bottle of wine. We grabbed some sushi, and then headed back to our room where the hotel set us up with a bottle of wine and snacks for the evening. So thoughtful of them! Saturday we woke up, ordered room service, and then headed out downtown to walk around and do a little shopping. Downtown Annapolis is the most quaint little town, and they were actually in the process of decorating for Christmas. Everyone was in the holiday spirit, and very friendly. After an exhausting few hours of shopping, we grabbed lunch and then headed back to the hotel for some rest before dinner. The hotel brought us up a really nice cheese plate to dig into while we got ready. We then headed downstairs to the hotel restaurant for dinner. We did a lot of eating, if you haven't caught onto that yet, ha! We capped the evening off by meeting up with some of Jenn's friends, and cheers-ing a few glasses of wine in downtown Annapolis. Sunday we packed up and headed back to DC! But not till we ordered another round of room service, and snapped a few pics of the hotel. Typical bloggers, ha! 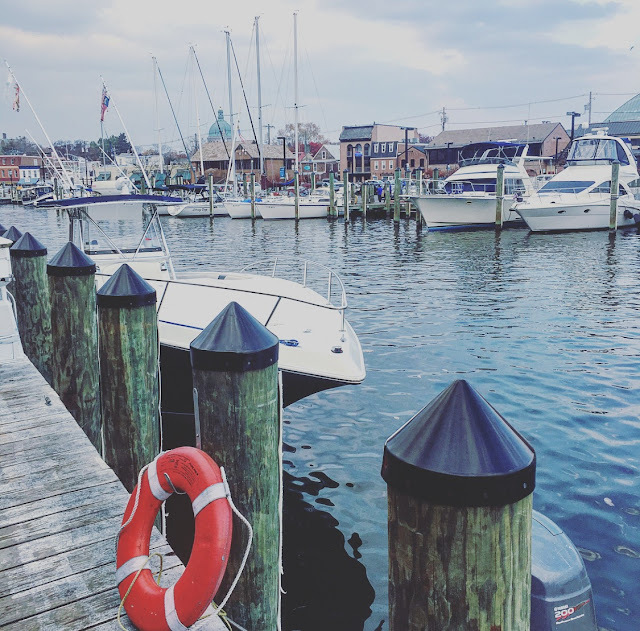 We had such a wonderful time in Annapolis, and owe our lovely stay to the Annapolis Waterfront Hotel. If you're visiting the area soon, I cannot recommend staying here enough. 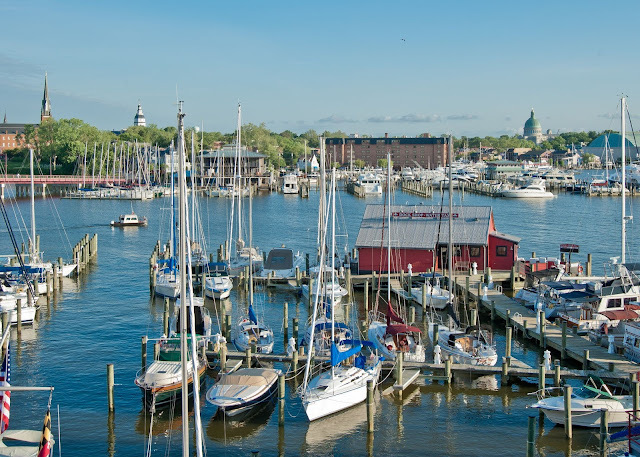 It's right in the heart of downtown Annapolis, and only steps away to shopping, dining and the water. The hotel is all decked out (pun intended, ha) in nautical decor, and the staff are all super friendly. I can't wait to get back up in the spring time where we can enjoy more time outside on the dock, and maybe take a sailing trip! That'd be so fun! Special thanks to Annapolis Waterfront Hotel for hosting our stay. This hotel is so cute! I've never been here and clearly need to go!